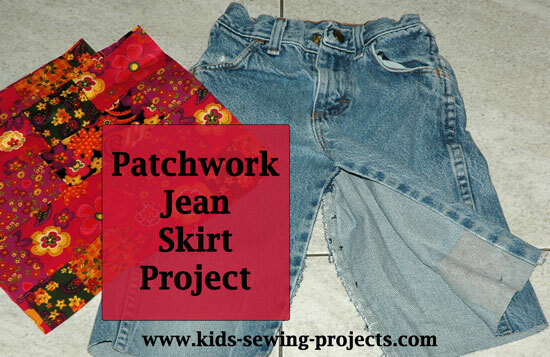 How to sew a Patchwork Jean Skirt. 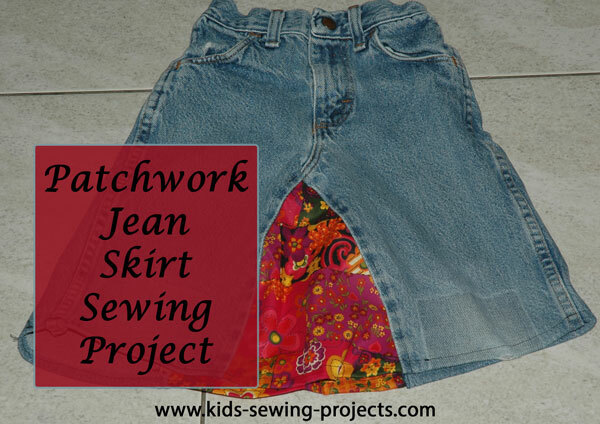 Recycle an old pair of jeans into a new skirt is easy. Cut jeans at knee length and open the inner leg seams. 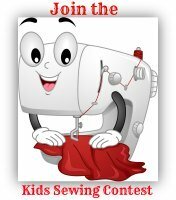 You will simply add a patch of material to cover between the leg seams. 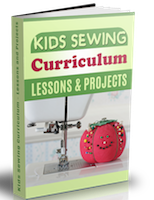 Cut two patches of fabric large enough to cover the open area. Pin material to jeans and sew in place. 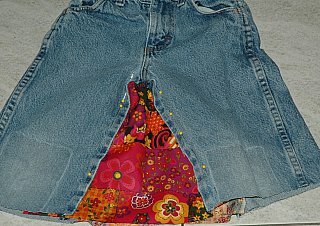 Continue with back of jean skirt. Sewing through the layers of jeans and material will be thicker so go slowly and be extra careful.